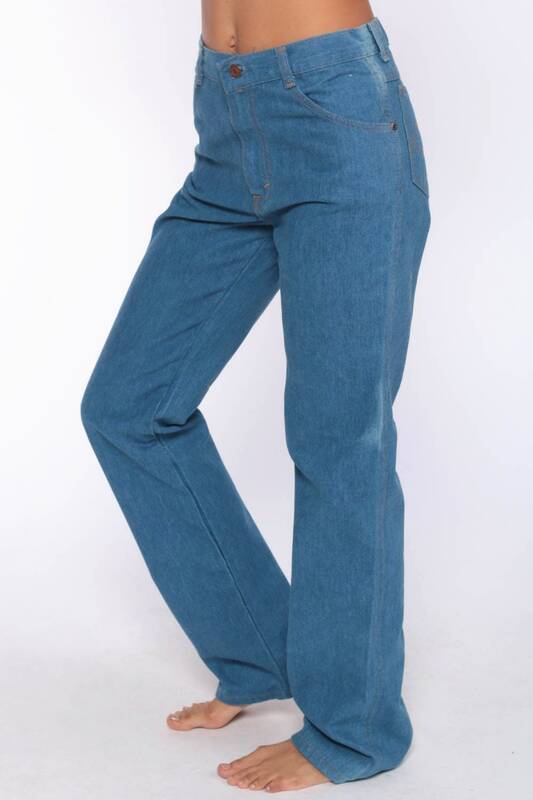 Vintage 70s jeans in blue denim with a high waist. 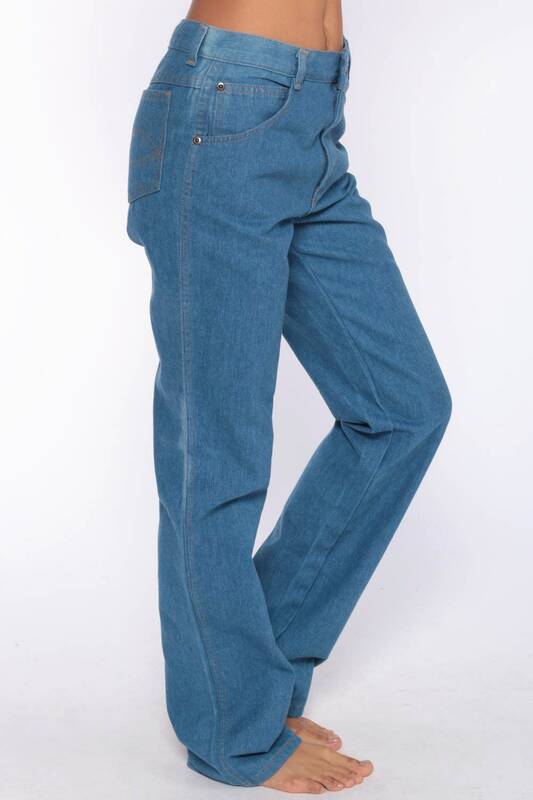 Unisex and probably originally for men. Condition: Very good vintage with light general wear. 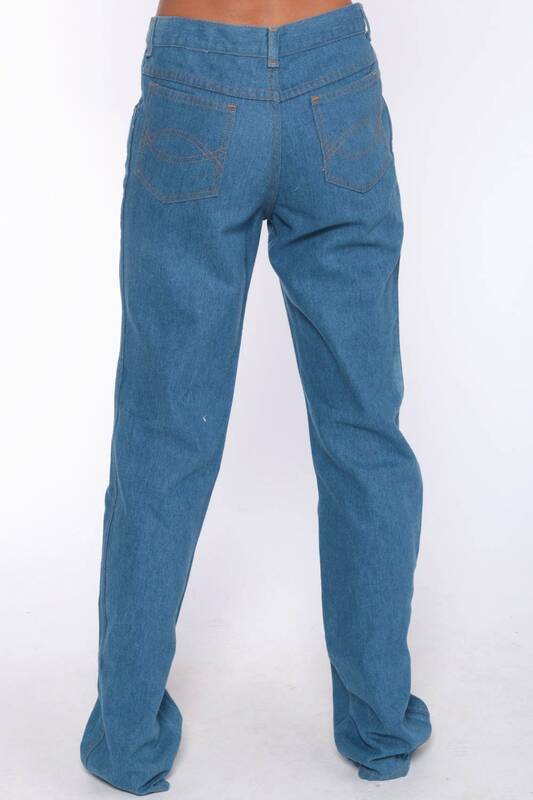 Has faded areas at both sides of the waistband, and on both outseams just above the knees.